On a tuned GTR one of the limiting factors of getting above 600bhp is the diameter of the stock airfilter pipework which won't allow higher power. The Forge Nissan R35 GTR intake uses much larger (80mm) than the stock pipework for massively improved flow and higher horsepower potential. The Pipercross filters allow unrestricted airflow from the front of the car. As a result of this improved flow, however, the GTR ECU must be remapped to take into account this extra airflow potential. Forge recommends the use of either the Cobb Accessport or EcuTek solutions, both of which will allow your GTR to reach its power goal. 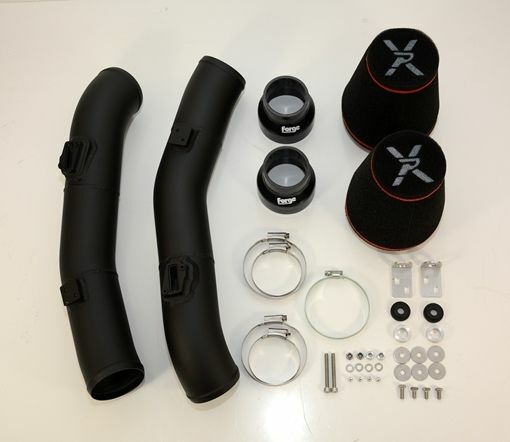 This intake kit WILL fit any car fitted with the pop-up bonnet safety device.